With a significant amount of industry experience, Valor Janitorial provides professional office cleaning services, commercial cleaning services and janitorial services in Garland. Locally owned and operated, Valor Janitorial's commercial cleaning services are used to clean and maintain millions of square feet of commercial office space and manufacturing facilities throughout the DFW area. Our quality and environmentally aware commercial cleaning services are used by security-sensitive technology companies, office facilities, schools, and more. Valor Janitorial takes pride in offering a strong reputation, reliability, and customized cleaning solutions to every client. Dallas janitorial services provider, Valor Janitorial, offers commercial cleaning services in Garland and throughout the entire Dallas / Fort Worth Metroplex. Our cleaning services are used by high-security technology companies, corporate offices, schools, warehouses, and more. Our commercial cleaning crew members receive thorough training that includes written, classroom, and hands-on instruction. All Valor Janitorial commercial cleaning services come with a trained team of professionals, quality control, continuous customer service, routine follow-ups, and 24/7 emergency support. When you need professional cleaning and janitorial services in Garland or surrounding areas, don't hesitate to contact us at 214-238-9550. Brandon is very attentive to our needs from the first call. He delivered his quote on time and he took extra steps in getting our facilities to look uniform. In the beginging we had some misunderstanding between the cleaning crew and our company but Brandon was quick to have someone out to make it right. So far we are very pleased with our services and we would recommend them to another company. 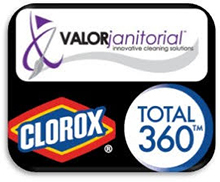 Valor is simply the best janitorial service I have used! Very seldom do we have issues, but if we do, one phone call takes care of it. Brandon and his staff are the best! Period!! In commercial cleaning, you will find businesses using myths as reasons for not having their offices cleaned regularly or properly. This can lead to a disorderly workspace that can demotivate workers, as well as leave a negative impression from visitors.